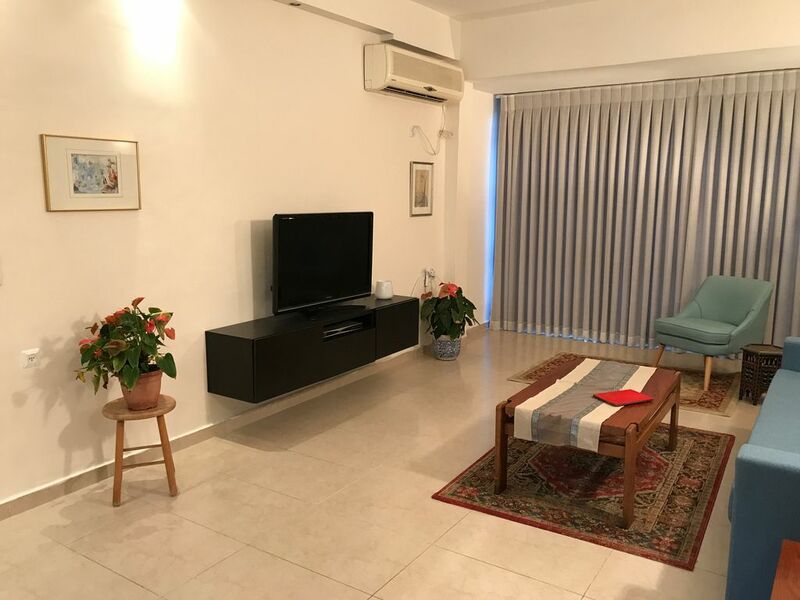 Modern, quiet and comfortable 100 square meters, 2 bedrooms apartment, ideally situated minutes from Tel Aviv city center, Tel Aviv University, Israeli Diamond Exchange, high- tech and business centers in one of Tel Aviv metropolitan area most prestigious neigborhoods, near Hayarkon Park. The apartment also has a big living room with a comfortable sofa bed (can sleep 2) and a spacious dining room. It is surrounded by a well tended garden.